After the strong and gales force winds over the New Year period, most of the day was spent clearing up and tidying the area around the Museum and the Woodland Walk. Initially the Museum Green was raked off, removing a large quantity of fallen branches and twigs from the poplar trees. Some further pruning of the laurel was done, but this time the arisings were cut up and placed in the rubbish skip. Our attentions were then turned to the area behind the Museum building, where huge piles of leaves had accumulated over the autumn period. These were cleared away and the area swept. The shrubs and plants around the area were pruned and the remains of spent grow-bags cleared away. Path edges were cut back and stored notice boards and bins stacked away. In the afternoon the team spent time up in the Woodland Walk, the Boat Horse Road and then back along the towpath to the Museum Green. General trimming back of overhanging vegetation, along with the removal of some fallen branches. We all joined together at the north end of the Woodland Walk, where it joins the Boat Horse Road to look at the possibility of improving the access. The Woodland Walk can never be made ‘wheel chair’ friendly, but the creation of shallow steps would at least make a much easier route – rather than what is regularly a wet and slippery slope. 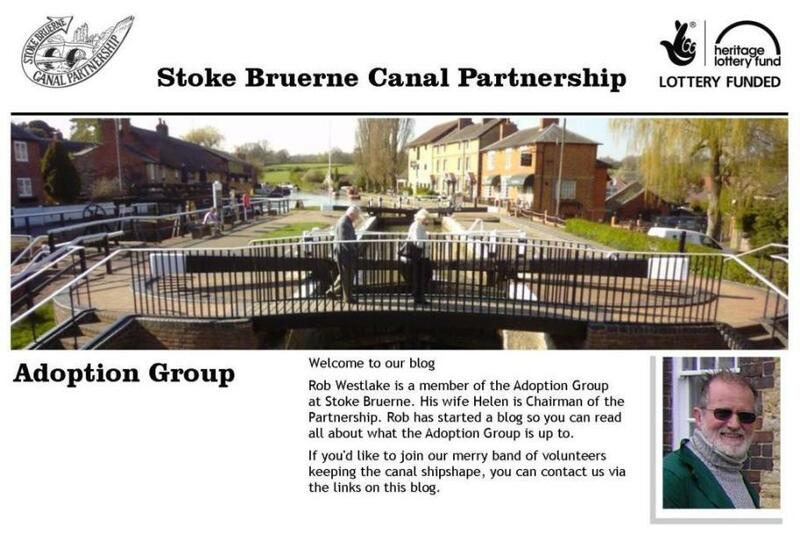 This project would need further research and costings and the Stoke Bruerne Canal Partnership will be asked progress this project.